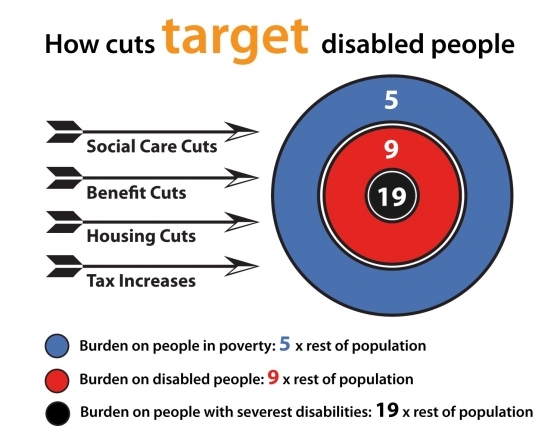 The Centre for Welfare Reform, on behalf of the Campaign for a Fair Society, has researched and published a detailed analysis of how the cuts target disabled people and people in poverty. The report goes on to explore the political factors that have led to such a significant attack on the rights of disabled people. You can download a free copy of the report here, or you can watch a short film explaining how the cuts have been targeted.